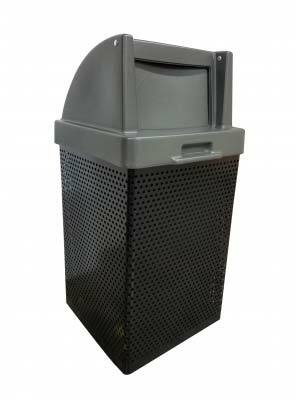 A popular choice for high volume spaces, ready to quickly maximize waste management programs with 38 gallon square waste container. 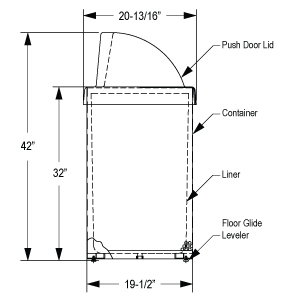 A traditional square trash receptacle made with commercial grade materials, featuring a perforated steel base (11-guage), push door lid, security cable, floor glide levelers and plastic liner. Finished in an ultra-resilient powder-coating, this receptacle is built ready to provide long-lasting performance in all-weather environments. The Lasting Impressions Series is the QuickShip solution to spruce up your outdoor space, shipping within 96 hours from the time of order.